Deliveries made Monday through Saturday! 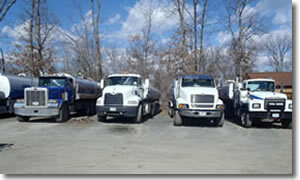 *We now offer short and long term truck rental! * We are pleased to announce that we are now able to provide large quantities of well water. This water is free of chemicals and treatment. This type of water is good for Koi ponds, and all your outdoor wildlife needs. 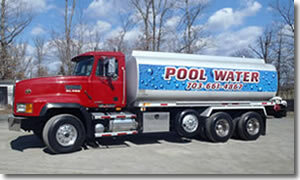 Bell Transport, Inc. has been providing swimming pool water for residential and commercial pools throughout the Northern Virginia region for over 30 years. 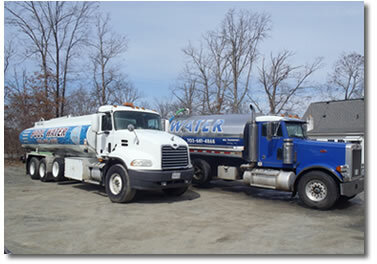 We also provide water for other residential uses, landscaping needs and commercial and industrial uses. Emergency water delivery is available. Our service area includes the Counties of: Loudoun, Fairfax, Prince William, Alexandria, Fauquier, Clarke, Culpepper, Frederick, Warren, Rappahannock, Stafford, Spotsylvania, King George, Orange and the Cities and Towns within these counties. Bell Transport's water comes from these local municipal systems and is the same clean water that comes out of your tap. For over two decades, Bell Transport's staff has developed a close working relationship with the local swimming pool companies, as well as our commercial and industrial clients. Our staff uses our years of experience to address the individual needs of each job. We work with each client to assure the water is delivered when you need it, on time, and on budget.